Steve Patterson of "Twin Cities Live" brought the humor. "We expected this in the same way that we all expect to die someday. We know that it will probably happen. We don&apos;t really want to think about it until it happens." 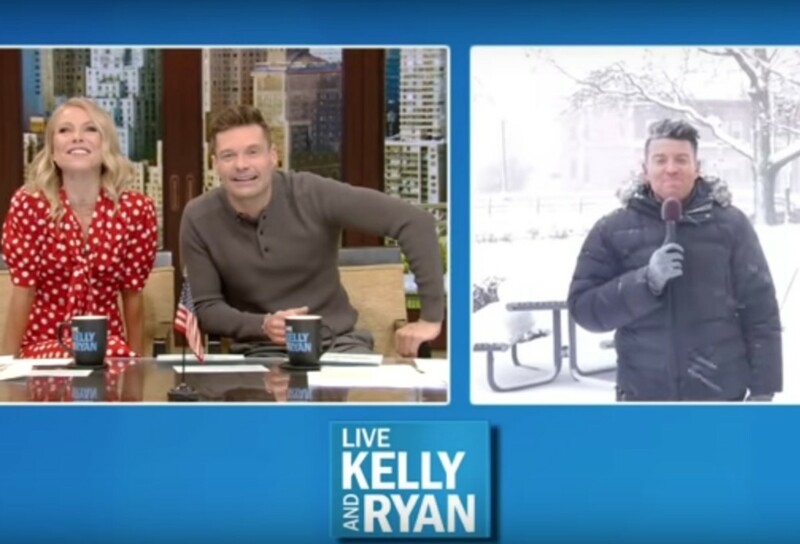 Those are the spot-on words from Twin Cities Live&apos;s Steve Patterson, who stood outside during this week&apos;s snowstorm just so Ryan Seacrest and Kelly Ripa, cozied up in their warm New York studio for "Live with Kelly and Ryan," could get a glimpse of how us hearty Midwesterners were handling winter overtime in Minnesota. "What I&apos;m experiencing right now are wind gusts up to 50 mph and sleet," said Patterson, describing the wrath of Mother Nature while Seacrest rolled up his sleeves. "If you have not yet enjoyed the experience that is sleet, let me describe it: It&apos;s like ice bullets. Shards of angry snow and ice that mockingly pepper you in the face. It is unpleasant out here." That comment has Seacrest, Ripa and their studio audience belly laughing. "Can you tell us how the spirits are of the people?," Ripa asked. "We are broken. We are angry," Patterson answered. "We don&apos;t like it. This is garbage. It has to stop." As much as 20 inches of snow fell in parts of Minnesota, with the most in the metro area falling in the form of nearly a foot in Chanhassen while MSP Airport recorded just under 10 inches. The Twin Cities is on the edge of the watch box. Heaviest snow misses the metro; 40s for Thanksgiving? Roads are slick in southern Minnesota, although the Twin Cities was spared. Snow will work its way west to east across southern Minnesota this afternoon and evening.